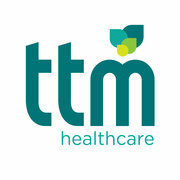 We’re delighted to welcome TTM Healthcare to Jobs Expo 2015. TTM Healthcare is a market leadering global healthcare recruitment company. We have been delivering effective and innovative staffing solutions to the public, private and not-for-profit sectors since 2002. We employ over 100 staff directly and engage over 1,000 healthcare contractors through our network of offices in Ireland, the UK and Germany. Our presence in the Middle East is growing every day as we recruit Doctors, Nurses and Allied Health Professionals for our esteemed partners in the region. Through our network of partners, our reach extends throughout Europe, Asia and beyond. At TTM, we understand that the requirements of each of our clients are unique. We have developed specialist teams to provide a dedicated service designed to meet them. Client and candidate satisfaction will always be the greatest hallmark of TTM’s success. However we are also very proud to have been recogised as the National Recruitment Federation’s ‘Healthcare Agency of the Year 2013 & 2014 and of our status as a Gold Standard Deloitte Best Managed Company. Read more about Our Awards here. TTM Healthcare is Ireland’s largest independently–owned specialist healthcare recruitment consultancy. Founded in Ennis by Brian Crowley in 2002 we now employ around 100 staff in three countries and recruit from a dozen more. In 2011, we opened our first office in London, launched the JustNursing brand and acquired Just Social Care and Teaching Appointments as part of the TTM Group. We currently engage over 3,000 healthcare contractors and have placed over 2,000 more into permanent roles. For many years we have been a leading supplier to the HSE in Ireland where we also work extensively with all the leading health and social care service suppliers in both the private and voluntary sectors. TTM Healthcare now operates offices in Dublin, Ennis, Cork, London, Lancashire, Exeter and Berlin. Through our trusted partners our network now reaches out beyond Europe across Asia, the USA, New Zealand and Australia. Visit TTM Healthcare’s website to find out more.